The peony flowers that grow out front, thanks to my gardening neighbor, are one of my favorite flowers each spring. They are so dramatic and colorful I feel compelled to check on their progress with each day. 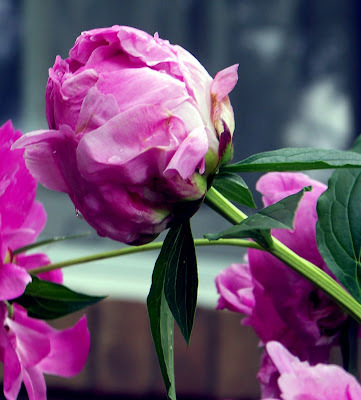 These flowers are no longer around and I miss them so to celebrate them, I am dedicating today's post to the Peonies. 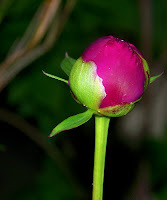 From bud to bloom in photos. Peony flower starting to bloom. I love how vibrant the pink is. Light pink peony flower in full bloom. I hope you enjoyed. If you enjoyed these photos, check out more of my photography at The Shutterbug Eye on Artfire. I'd also love to hear from you. What is your favorite flower? Tomorrow I begin my series of photos from Brookfield Zoo. I especially like the bud one with the overhead lighting. 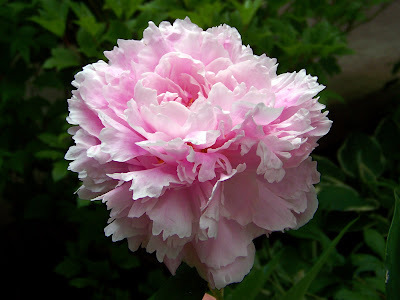 I like the photos of the soft colored Peony flower. 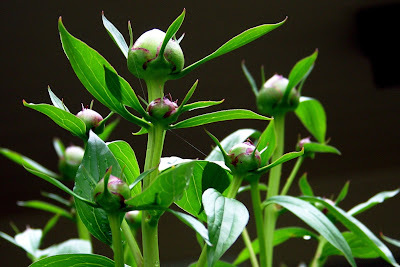 Thanks, I enjoyed the peonies from bud all the way through bloom.